GTA Construction Report staff writer. 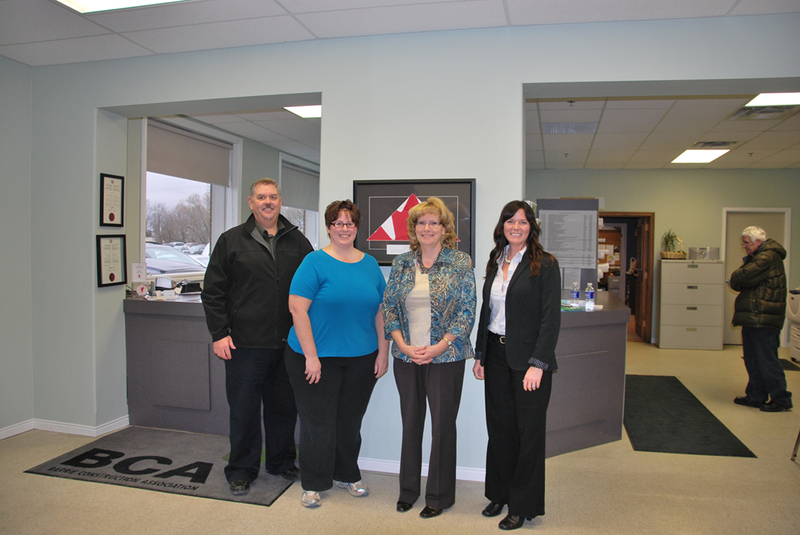 Provincial labour minister Linda Jeffrey has met with 18 members of the Barrie Construction Association (BCA). Jeffrey was accompanied by her acting chief of staff, Hasneet Punia, for the hour-long meeting on Jan. 30. Electricians, plumbers, landscapers, sheet metal contractors and glass installers were joined by safety consultants, aggregate suppliers and members from other facets of the building industry. Jeffrey and Punia were given a brief summary of the BCA by the association’s newly elected president, Katherine Van Leeuwen. The minister fielded questions and addressed issues raised by the membership. Topics included changes to joint health and safety committee requirements, the WSIB Prevention Council, mandatory WSIB for shareholders of construction companies, portable toilets and Bill C-377. The BCA will follow-up with the members in attendance to ensure that their questions were answered to their fullest satisfaction, and will keep an open dialogue with the minister’s office, said BCA administrative director Alison Smith.